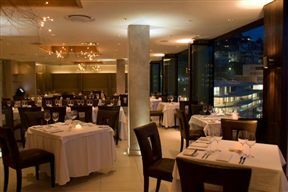 Situated at the Ambassador Hotel, Bantry Bay, is Salt. Boasting panoramic views over the Atlantic Ocean through the impressive floor to ceiling windows, it’s not just the delicious food that diners come for. The menu focuses on fine French cuisine with a South African twist and do not disappoint, thanks to the strictly upheld commitment to using local, seasonal ingredients. With over 75 wines to choose from, the perfect pairing is just waiting to be selected. The menu is updated frequently to accommodate the seasonal nature of the ingredients, giving diners exciting and ever-changing options. The decor balances simplicity with sophistication, using warm earthy tones and natural furnishings. Fantastic food and wonderful wines in a superbly chic but relaxing atmosphere ensure that Salt Restaurant features on every discerning diner’s to-do list! 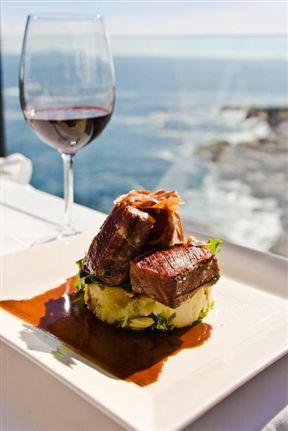 Salt Restaurant and Bar is 4.3km from the centre of Cape Town , the nearest airport 24.8km (Cape Town International Airport).